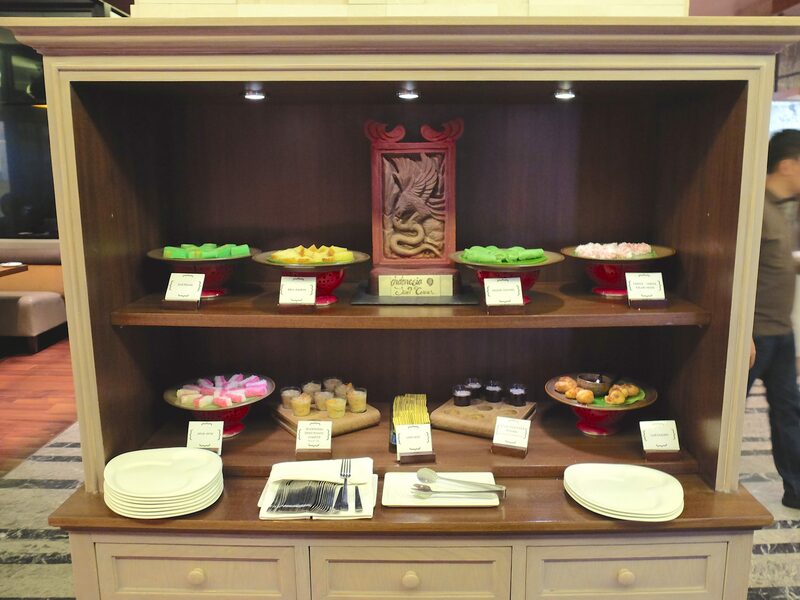 That is how Pullman Hotel describe their buffet restaurant, I’d say one of the best restaurant in hotels across Jakarta. 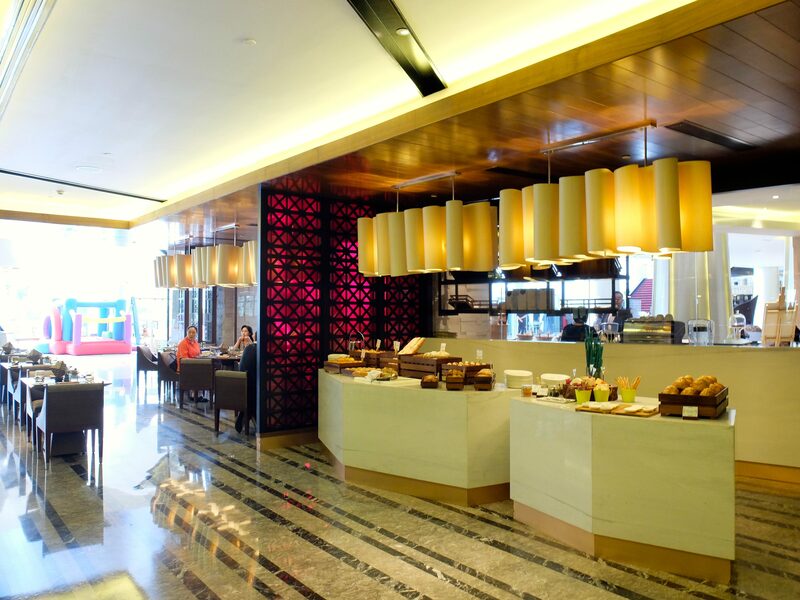 The class and service is on par with Mulia “The Cafe” and certainly superior than Ritz Carlton’s “Asia” and Marriot’s “Syailendra”. Bar inside Sana Sini Restaurant. Let me start with the beverages, the rule for beverage is different for Saturday and Sunday. 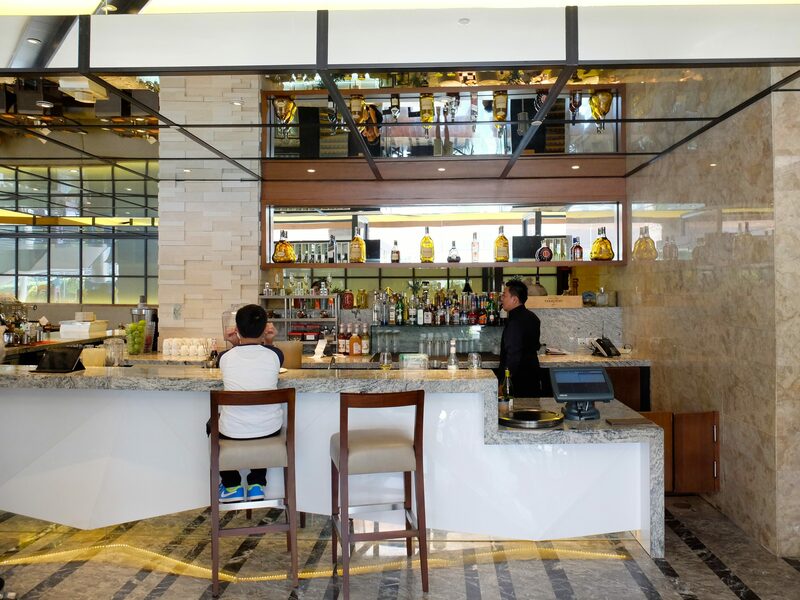 I ate at Sunday and the beverages are included in the price below this review, you got free flow of water, apple juice, ice tea, and other juice and cold drink. I start with the apple juice before eating and it taste good, during my brunch I drink water only. The restaurant is decorated with wine cellar and they seems to be proud of their collection, however I didn’t order their wine. 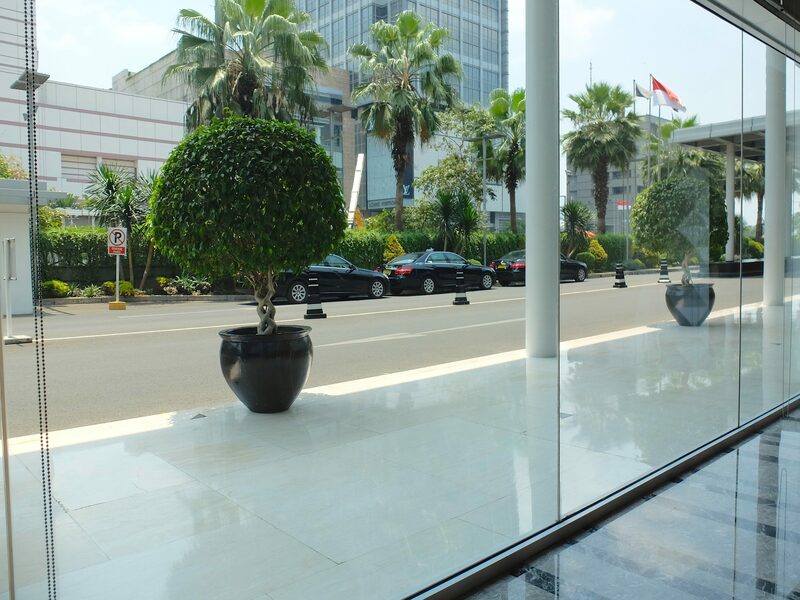 We were seated near the window facing Thamrin street, from our table we could see Plaza Indonesia clearly. My first impression after few minutes looking around the food stand is it is a huge place, no wonder they called it Sana Sini ( which mean going here and there in Indonesian). 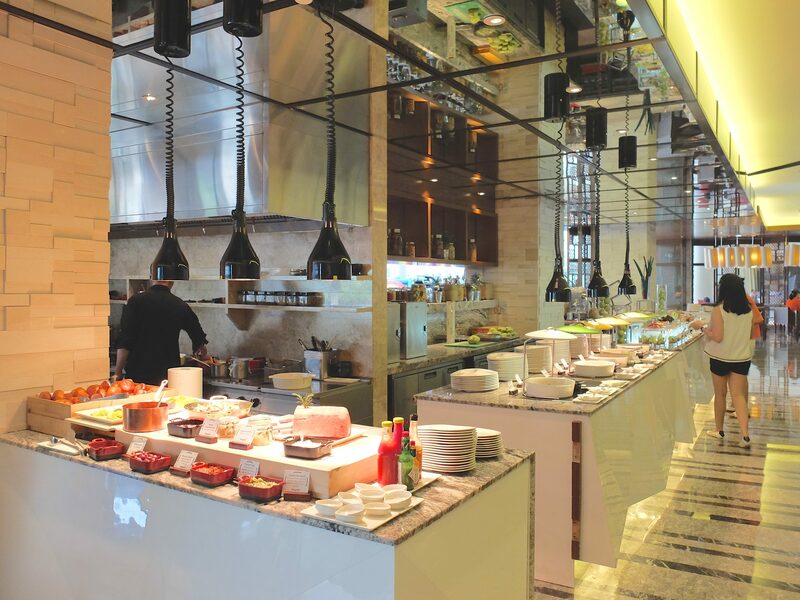 The restaurant has seven section, breads, Japanese, Western, Italian, Indonesian, Chinese and dessert. The variety is very good across different section. As usual, I didn’t take any assortment of bread for appetiser because I want to save the space in my stomach for the main course. None of my family does actually, but the servant gave us a bowl of tomato bread enough for four person to our table and said that we should try it. The bread was soft and easily crunched inside the mouth, it is so tasty that I actually eat most of it, leaving a small part for my mother and sister to try. 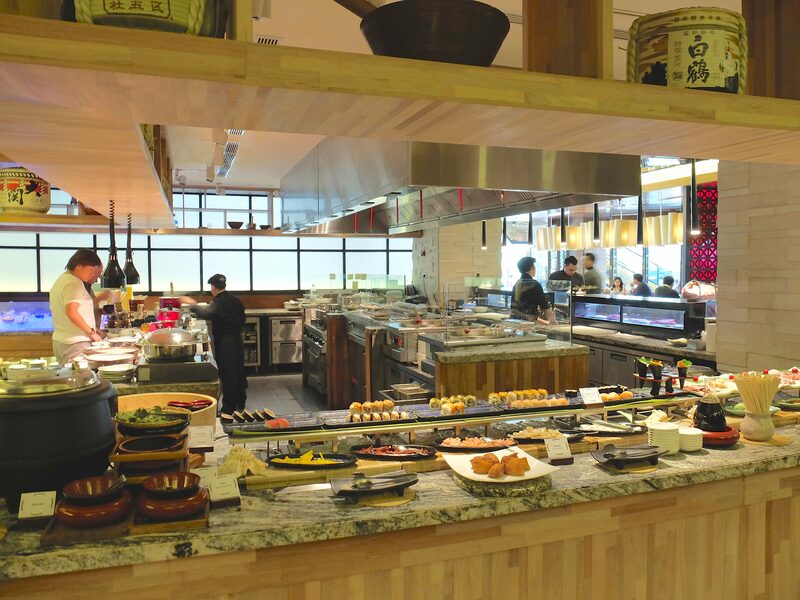 Nearly every time I ate in buffet restaurant, I always eat sushi and sashimi first because I think it’s a good way to assess the freshness and quality of their ingredients. 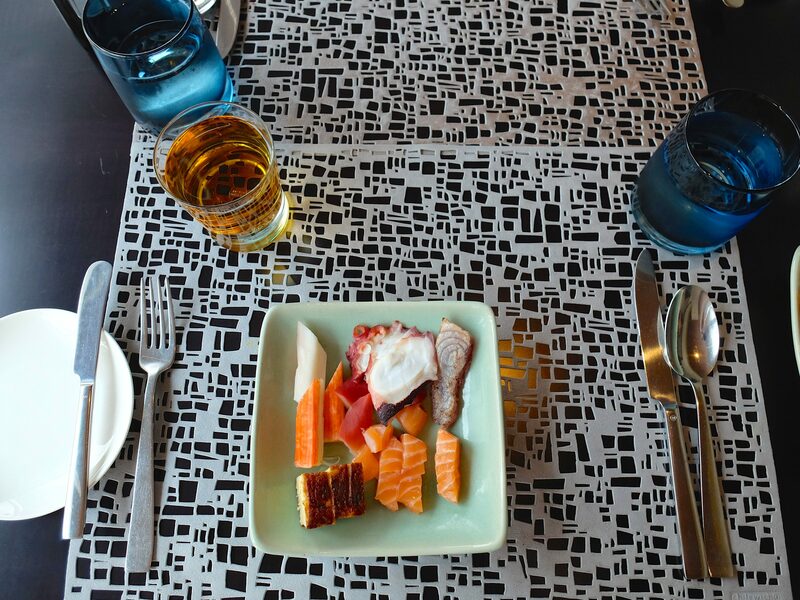 Sometimes sashimi served in buffet restaurant is watery and too soft, which means it has been displayed for quite some time. 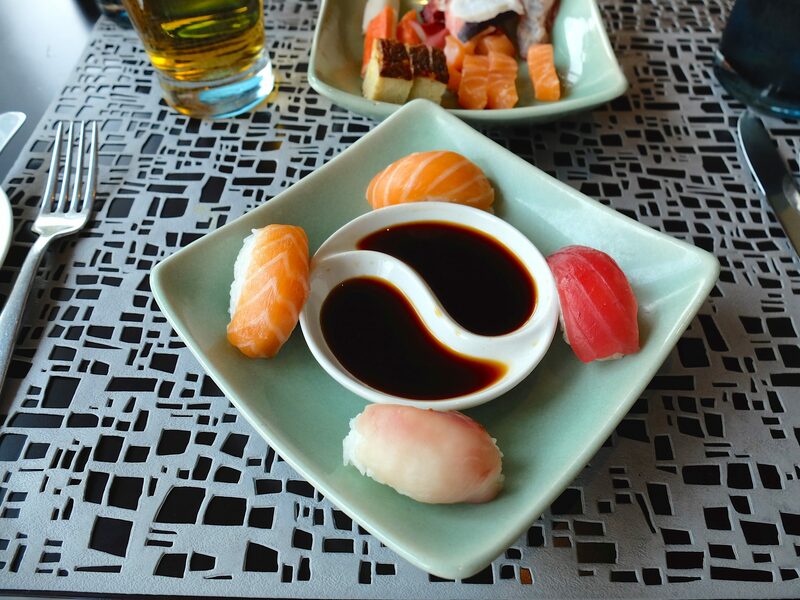 But the sushi and sashimi here are very good, the only drawback is they slice the salmon and tuna too thin. After finishing my first round, I go to the western section which is the long table behind the bar. At the time I ate there in October they are having a specialty of German dishes, so there are goulash, sausages, sauerkraut, ham, etc. 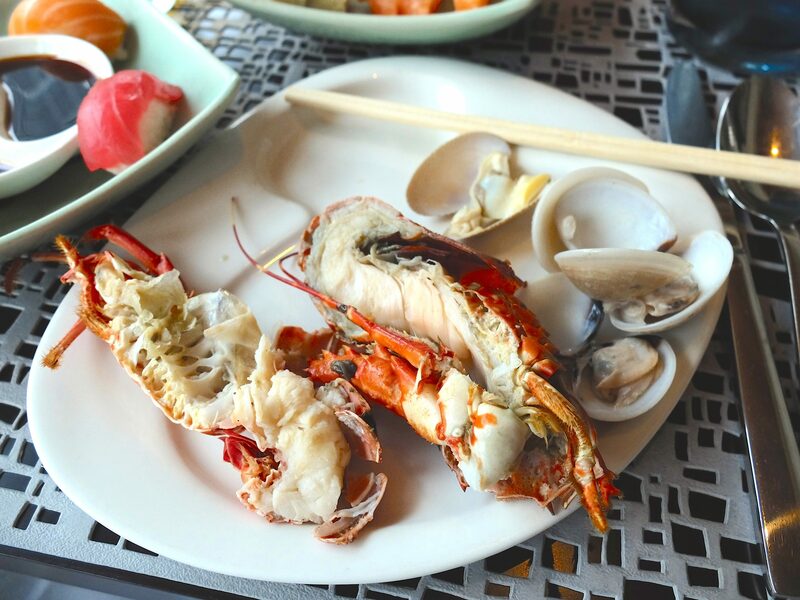 Apart from the cooked dishes, at the end of the table they have crayfish, muzzle and variety of clam. I mixed two variety only, crayfish and clam. The taste were good and the only thing to note for me is that I didn’t have any problem with my digestion afterward. In the Chinese section, I try variety of dim sum and dishes. The dim sum is good, nothing really extraordinary. 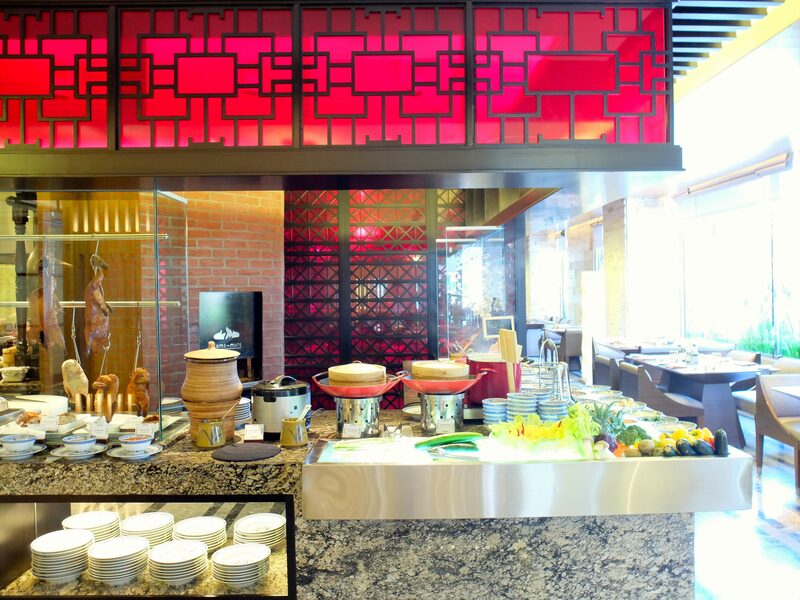 The dishes are good as well, they are lavish in serving seafood (fish, squid, prawn) cooked with chinese style. 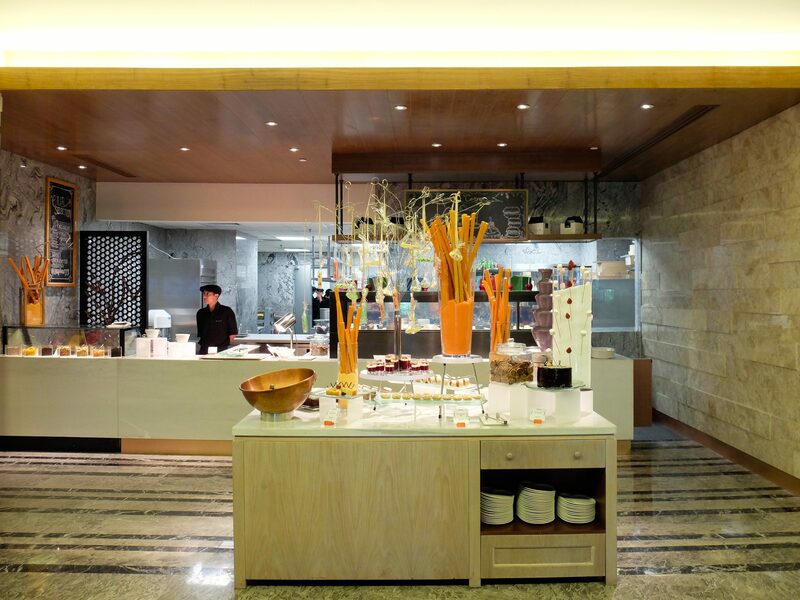 Overall the chinese section are good, on par with the smaller chinese section in “The Cafe” Mulia Hotel Senayan. I did a few rounds during the brunch, I visited the Japanese section several times because I think this is the only restaurant serving shishamo in Jakarta, I also eat few rounds of dim sum. To end the afternoon I stroll around the dessert section and found myself quite disappointed with the variety of dessert they have. I only eat two slice of chocolate cake for the closing, the other cake doesn’t interest me but may be suitable to fruits lover. Overall, I would recommend Sana Sini Restaurant for food enthusiast in Jakarta, the variety is excellent, the taste is great, but it comes with pretty high tag price. 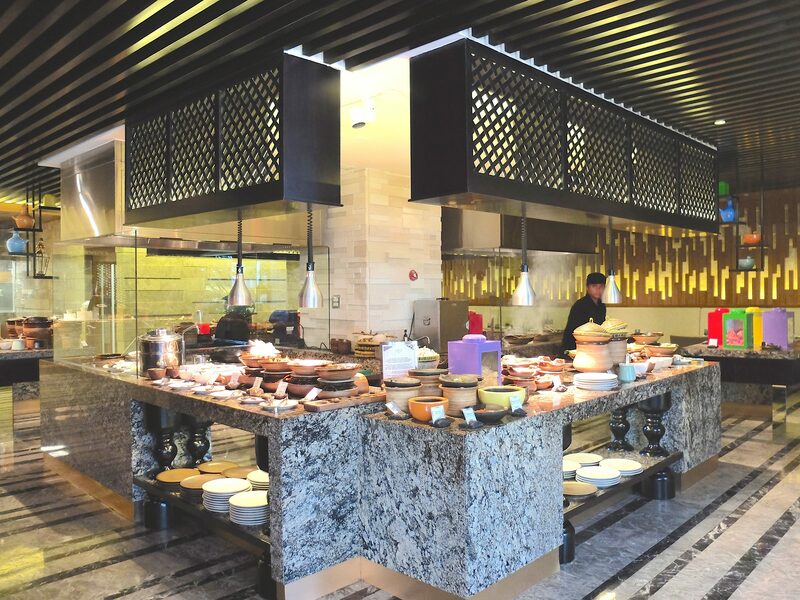 This entry was posted in Review and Ideas and tagged all you can eat, buffet, jakarta, pullman, restaurant, review, sana sini, thamrin. Bookmark the permalink.